A little known regular event held at the Yaarab Shrine. Some call it a secret, others call it a blast. Check the video out and tell a friend! 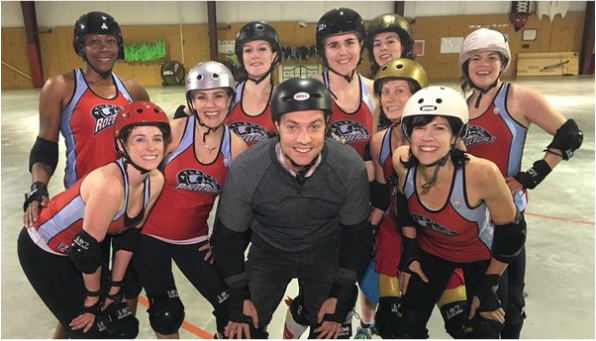 Atlanta Rollergirls, the city’s first flat-track roller-derby league. But a lot of people don’t exactly know where you can see them skate. It’s probably one of the last places you would expect -- the Yaraab Shrine Temple. ​Then, for a true immersion in the juggling subculture, check out the annual Groundhog Day Jugglers Festival held, well, not necessarily on Groundhog Day, but sometime near it. ﻿﻿Stay ﻿﻿connected with us through our periodic posts to our official Facebook Page. There you will find various updates on our hospitals, parades, fundraisers, membership activities, and other important information. Yaarab Shriners are a fraternity based on fun, fellowship, and the Masonic principles of brotherly love, relief, and truth, which tirelessly supports our 22 Shriners Hospitals for Children. Shriners Hospitals for Children is changing lives every day through innovative pediatric specialty care, world-class research and outstanding medical education. Our 22 facilities, located in the United States, Canada and Mexico, provide advanced care for children with orthopaedic conditions, burns, spinal cord injuries, and cleft lip and palate.